Editorial: Would Hyrule Have Been Safe If Link Never Woke Up In OCARINA OF TIME? Hey! This article ties in with a Let's Play we're doing on Twitch and YouTube later today. Make sure to follow both those links to follow us on there or just check out our stream at the bottom of the page! So would the land of Hyrule be better off if young Link and Zelda didn't attempt to stop the plans of Ganondorf? Not at all, and if you think this is a plot hole, you aren't paying enough attention. Let's start from the beginning. Link is summoned by the Deku Tree to presumably save the Deku Tree and retrieve the Kokiri Emerald. As we learn after completing the quest the Deku Tree was cursed in some way by Ganondorf and must be stopped so we have to find Princess Zelda and work out a plan because the king is busy I guess. Fast forward to the Goron race who are being starved out because they refused the Goron Ruby to Ganondorf. Link saves the day and moves onto the Zora people only to find out Ganondorf cursed their fish messiah and he ate the princess Ruto...are you seeing where I'm going with this? Even though Link is the cause for Ganondorf gaining access to the Temple of Time, that was going to happen whether anyone liked it or not. If Link doesn't enter the Deku tree Ganondorf just goes in once it's dead and it's not like a bunch of kids can stop him. If Link doesn't kill King Dodongo the Gorons either give up the Ruby or starve to death. 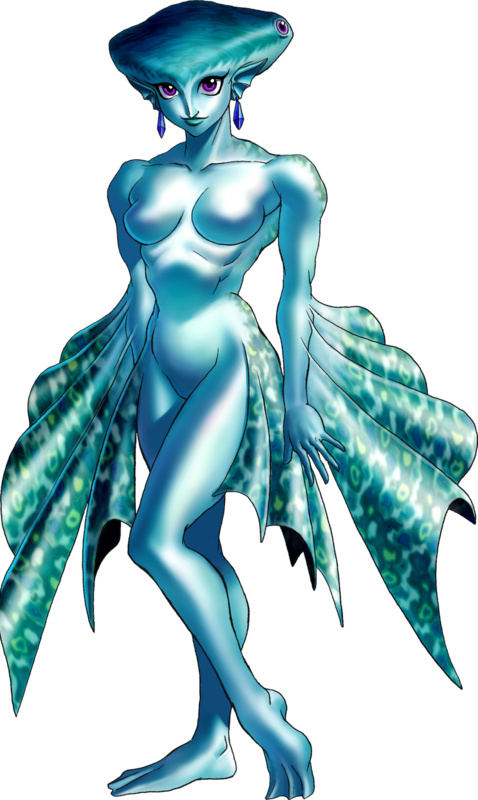 If the Zora's don't give up the Sapphire Princess Ruto gets digested and 9 year old me doesn't have conflicting feelings for a woman who is half human and half fish. Seriously who puts art like this in a strategy guide for children?! Of course, Link did wake up and he and Zelda saved the day the same way they did over the course of several different timelines and scenarios. So quit giving Na'vi so much guff! Her heart was in the right place...even if she doesn't have a heart and is just a glowing ball of annoyance. Gwendolyn From ODIN SPHERE Brought To Life In Fantastic Cosplay!